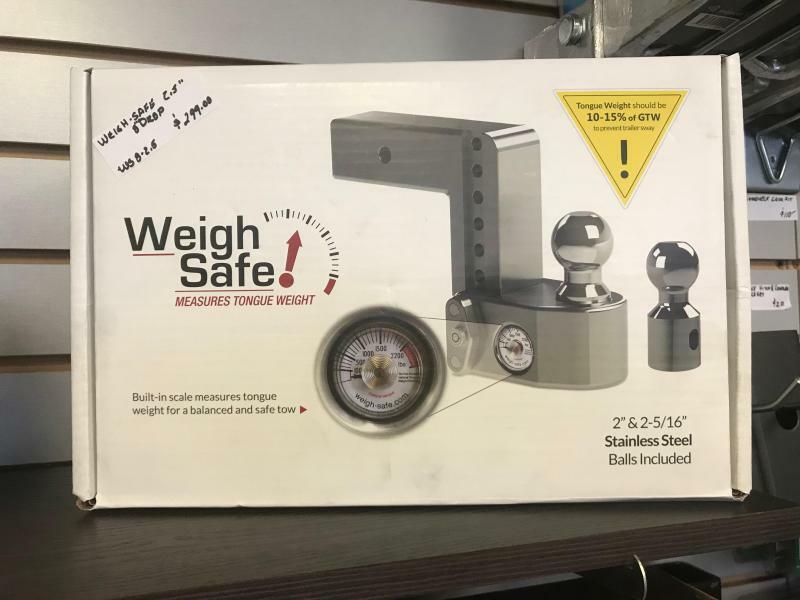 Weigh-Safe revolutionizes the towing industry with all aluminum hitch that measures tongue weight! 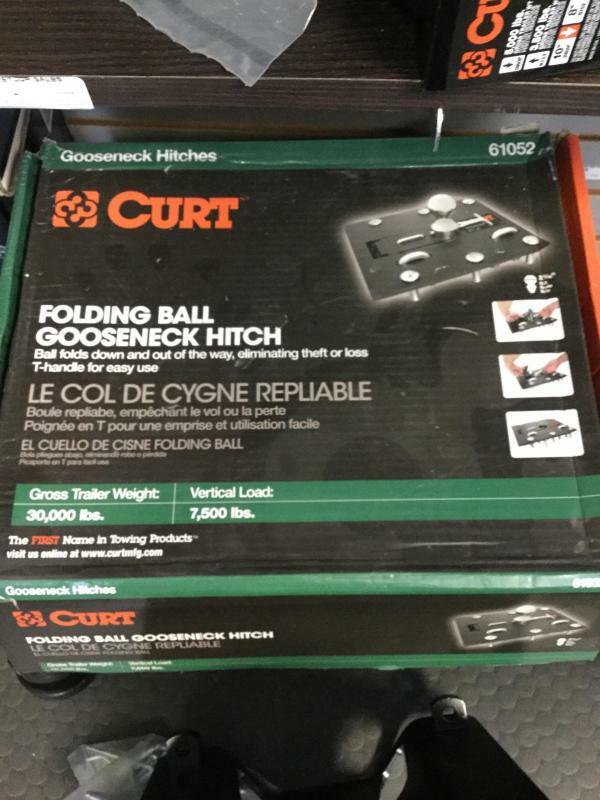 Multi-position with up to 8" of drop, never again guess if your trailer is balanced. 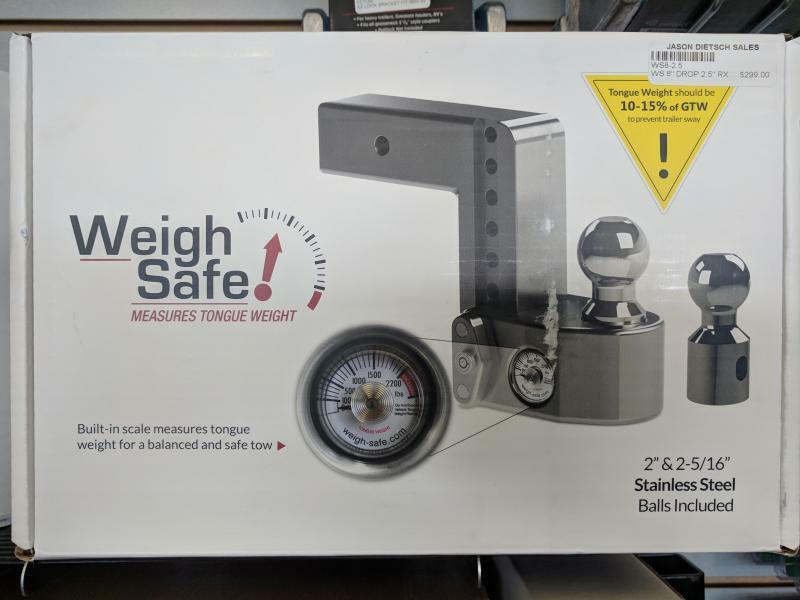 Proper tongue weight within 10%-15% of overall GVW prevents trailer whip and also reduces squat on the tow vehicle itself, improving ride quality and night vision with headlights properly aimed. 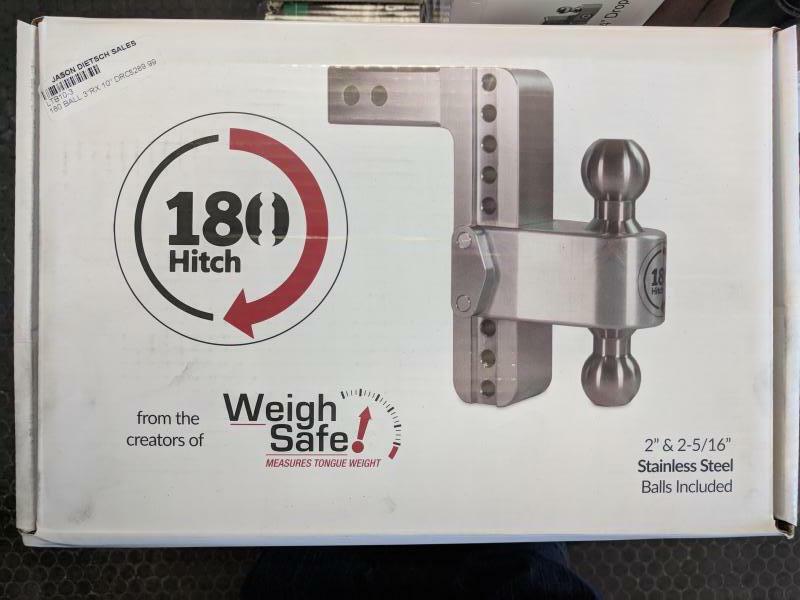 180Hitch from Weigh-Safe utilizes the same All Aluminum construction and stainless steel hitch balls as the original Weigh-Safe, but with a dual-ball head to make going from trailer to trailer a breeze. 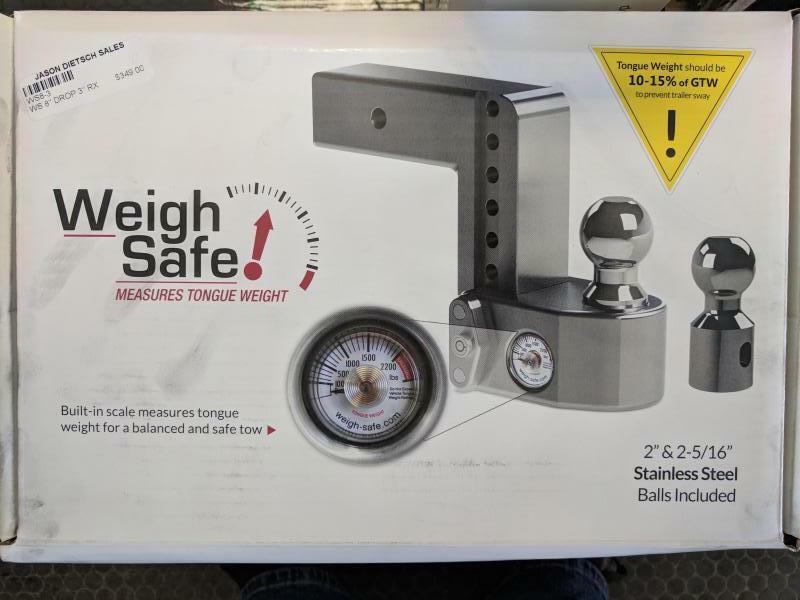 Simply pull the lock pin, drop the head off the draw bar and rotate to needed ball size and reinstall to desired hitch height. 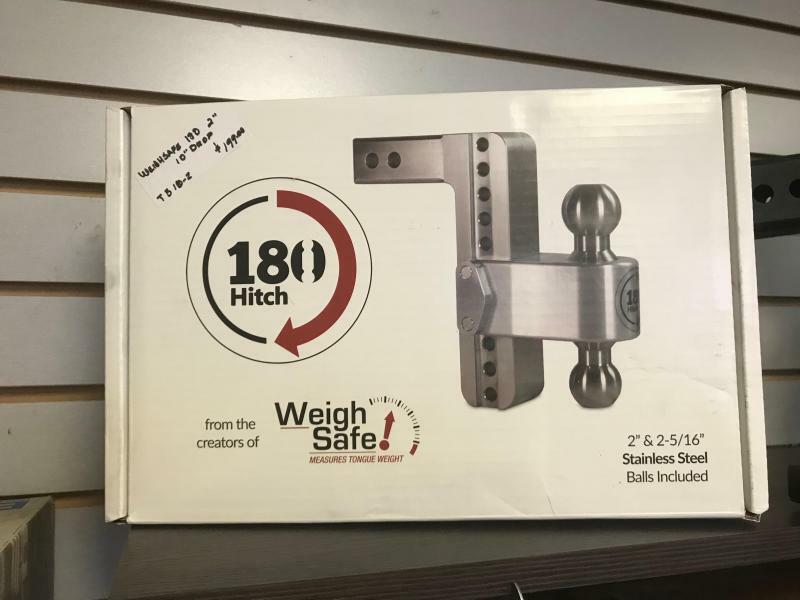 The 180Hitch does NOT have the tongue weight scale like the Original Weigh-Safe Hitch. 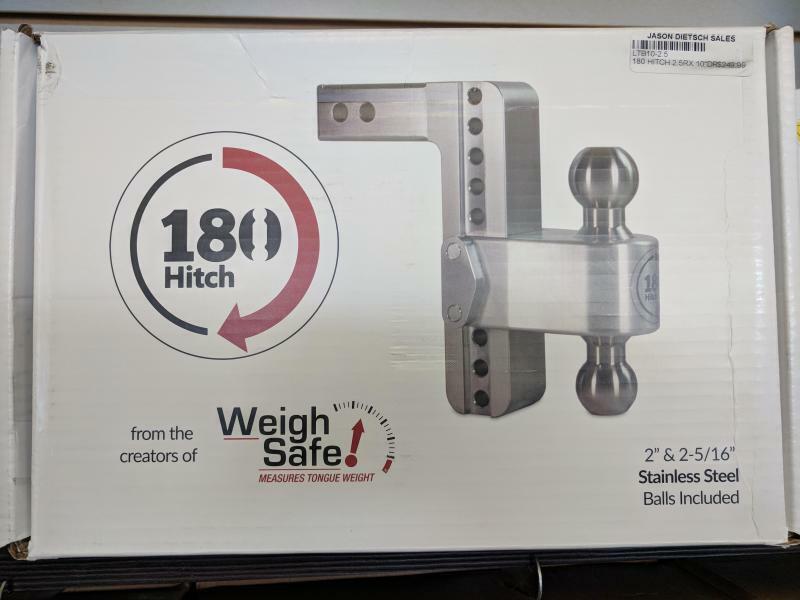 Multi-position Aluminum hitch up to 10" Drop, includes 2" and 2-5/16" ball. 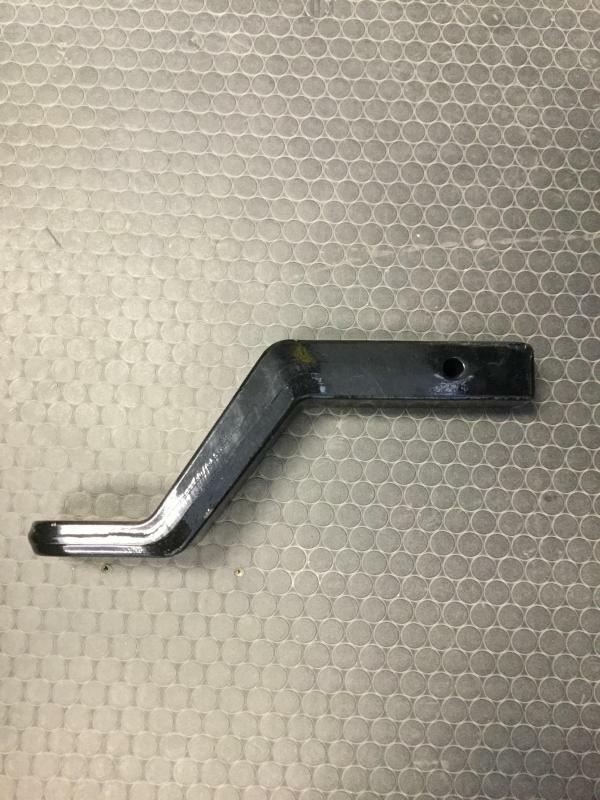 Also includes locking adjustment pin. 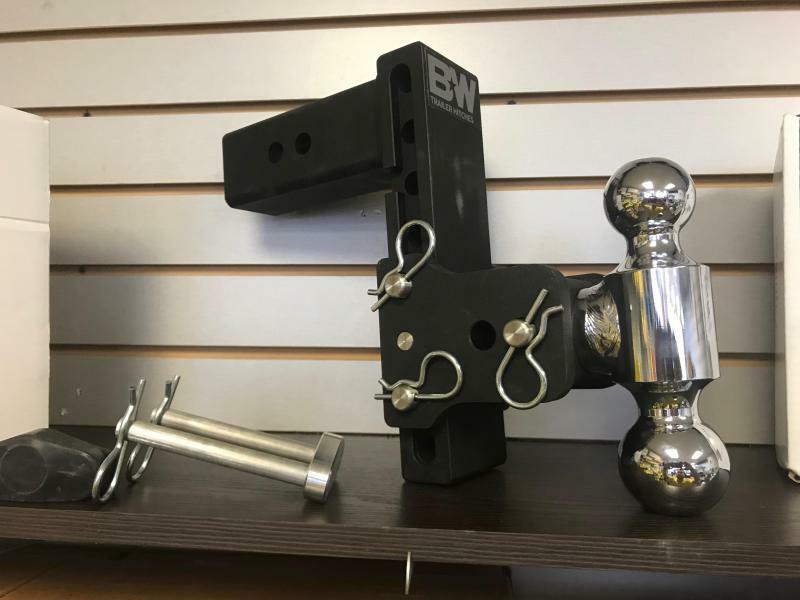 OEM PUCK SYSTEM GOOSENECK BALL & SAFETY CHAIN ANCHOR KIT All deposits are non-refundable. 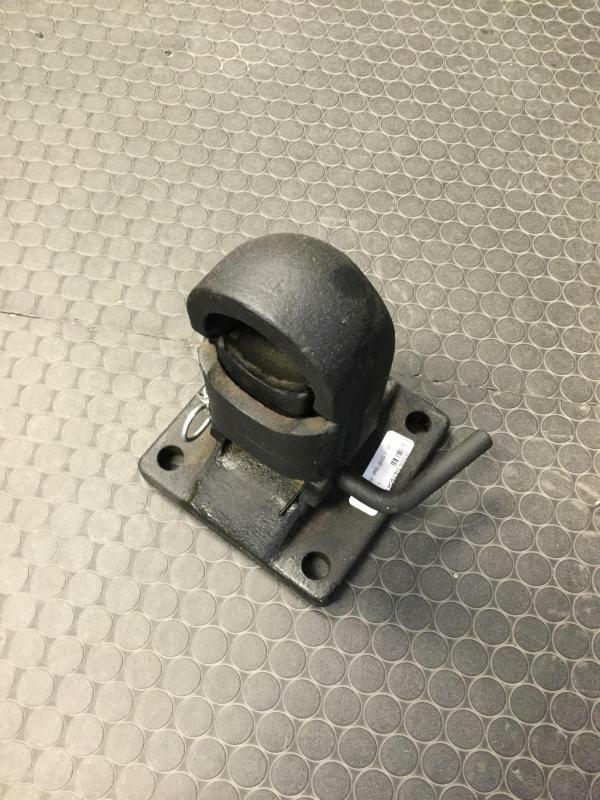 Coupler 2 5/16 Ball Flat Mount Tongue All deposits are non-refundable. 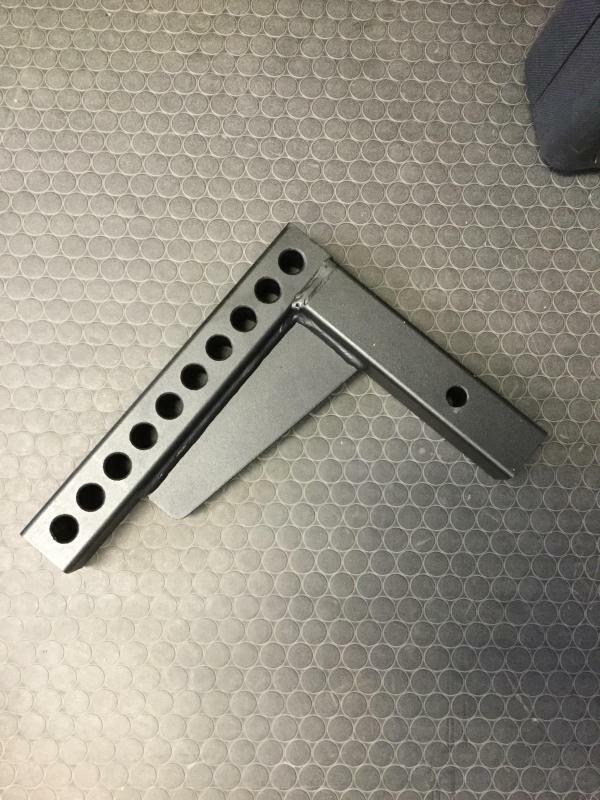 Curt long Drop Shank for W/D Hitch All deposits are non-refundable. 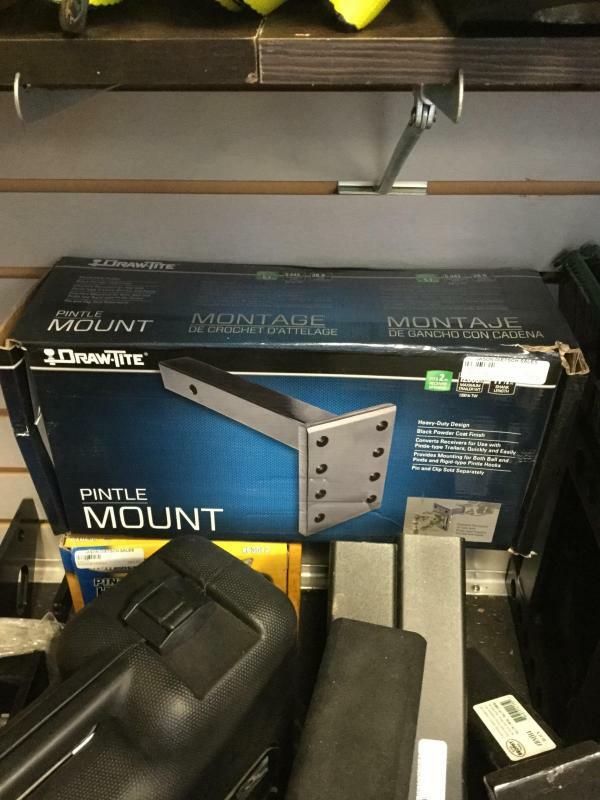 Pintle Mount All deposits are non-refundable. 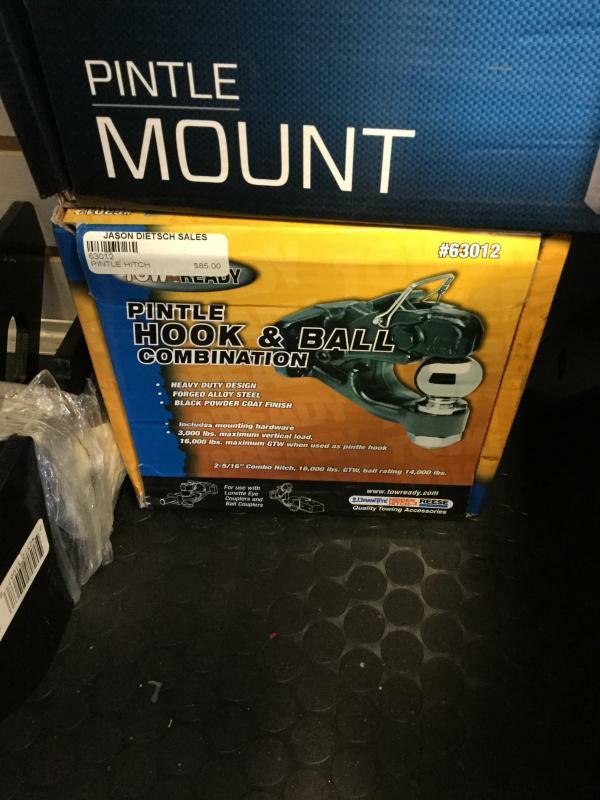 Pintle Hook and Ball Combination All deposits are non-refundable. 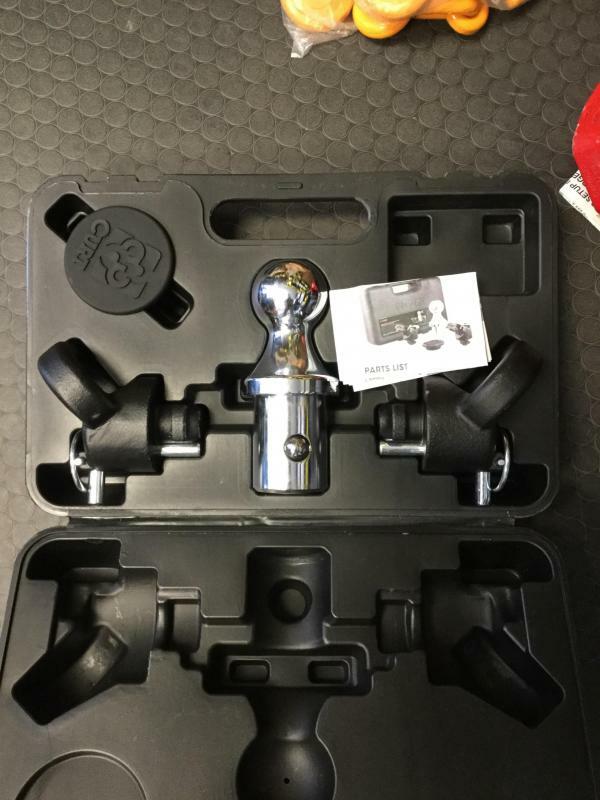 Curt Adjustable Mount All deposits are non-refundable. 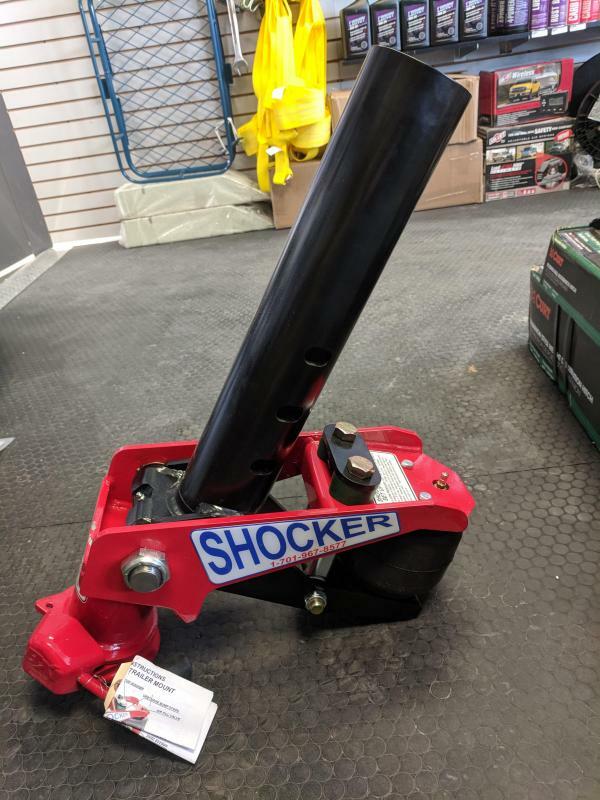 Brophy 6" Drop Hitch All deposits are non-refundable.